In a profile piece about Megan Rapinoe and the outlook for this coming year’s United States Women’s National Team season, Caitlin Murray includes an interesting line regarding the national anthem protests that Rapinoe participated in. Murray writes that, in response to the U. S. Soccer Federation codifying the requirement that its players must stand during the playing of the national anthem, Rapinoe “said she would obey.” This sentiment of submission and subservient obedience is a recurring demand made to those who anger white people by raising or highlighting issues of racism against Black Americans. Beyond mere critique and disagreement, whites often seek to humiliate and break those whom they believe transgress the unspoken rules regarding Blacks who step out of their place. Their reactions to even the mildest forms of criticism of the racist hypocrisy of American history is particularly harsh and irrational, disproportionately preoccupied with crushing those so involved. They are not concerned with how outrageous their actions appear, including abusing their authority or flirting with blatant violations of the Constitution such as Arkansas state officials openly disparaging college students respectfully exercising their freedoms and seeking to delay the university’s budget in retaliation for the students’ national anthem protest. Sadly, in that case as well, the white legislative mob obtained the obedience they sought. 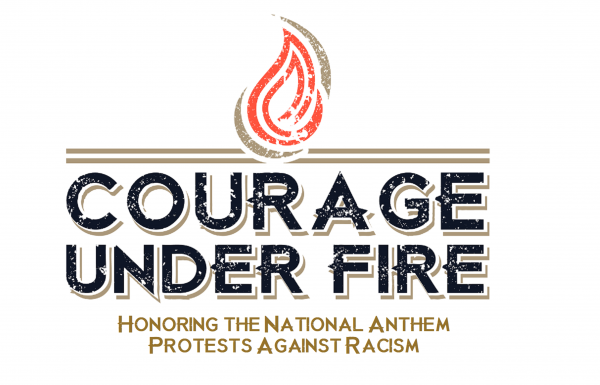 At the end of the day, it takes courage and strength of character to protest racism by demonstrating during the national anthem; as such, it is those who seek to punish these heroes towards whom our collective ire should be directed for their undemocratic and authoritarian deeds. U.S. Soccer’s jingoistic rule change is a great example of exactly what is wrong with the closet North Korean nationals in America who take such extreme actions in response to peaceful, powerful, lawful protests.